Leading Young alumni to reconnect with the University, Kristen Dechert ’03 serves as the new Junior Alumni Board president. Dechert earned her bachelor’s degree in English from UM and went on to earn a master’s in English from Mississippi State University. 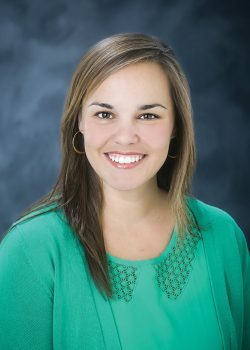 She currently serves as the communication director at the Research and Curriculum Unit at Mississippi State, but has missed her home away from home. Although the family feel of Montevallo was her favorite thing as a student, now she feels most proud of UM’s dedication to fostering the student voice. At first, getting involved with the UM Junior Board was a way for Dechert to reconnect with old friends, but it quickly evolved into something much more meaningful. “I realized it was a way for me to thank Montevallo for all she had given me, and to help ensure the University is successful for years to come,” said Dechert. During her time as president, she plans to uphold the goals of the current president, Jeff Purvis ’02, as well as to work hard to achieve goals of her own. Dechert hopes to endow a second scholarship in addition to the leadership scholarship the board offers now, reach alumni chapters outside Birmingham and offer support to young alumni in the early years of their careers. Some of her ideas to reach these goals include networking events, soft-skills training and an emphasis on mentorship.